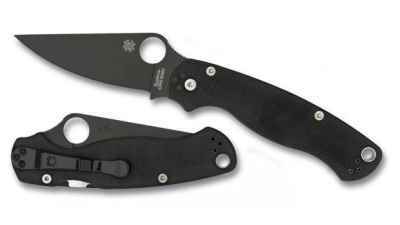 Inspired by the iconic Para Military™ 2, the Para 3 distills all the features of that best-in-class folding knife into a more compact, carry-friendly package. 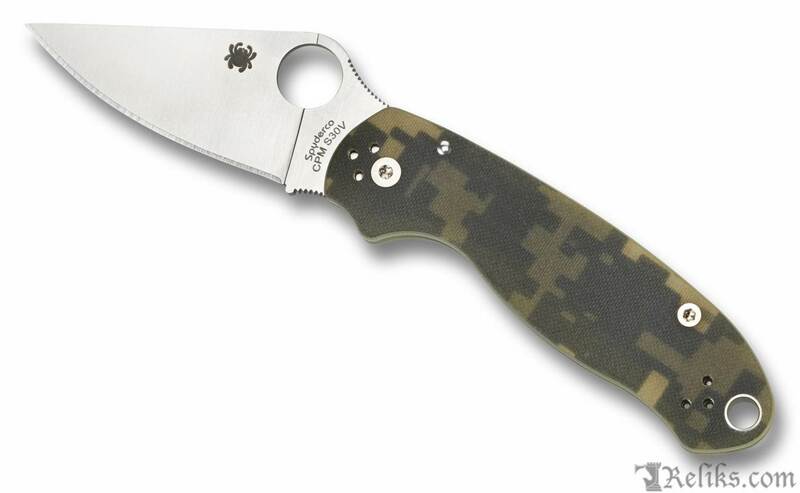 For military end users or those who prefer a tactical look to their knives, this version of the Para 3 boasts digital camouflage-patterned textured G-10 scales that approximate the pattern of the U.S. Army’s ARPAT camouflage. The scales are precision machined to contain nested stainless steel liners that are the foundation of the knife’s high-strength Compression Lock™ mechanism. On the business end, this knife features a full-flat-ground CPM® S30V® stainless steel blade with a PlainEdge™ cutting edge and a fully accessible Trademark Round Hole™ for quick, ambidextrous, one-handed opening. 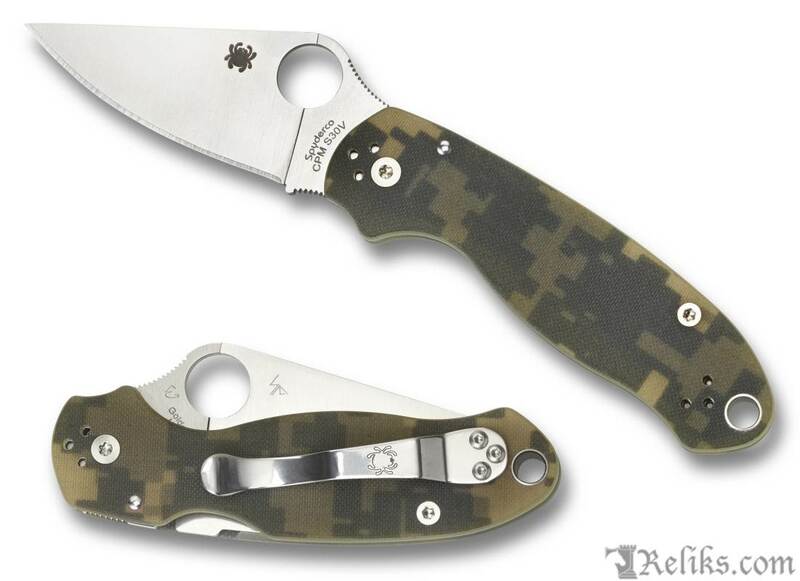 To keep the knife ready for immediate access, it includes a four-position clip that can be configured for left or right-side tip-up or tip-down carry. 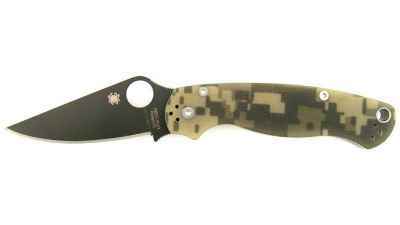 Spyderco Para C223Gpcmo - Spyderco Para Military 3 knife with satin blade and digi camo handle. 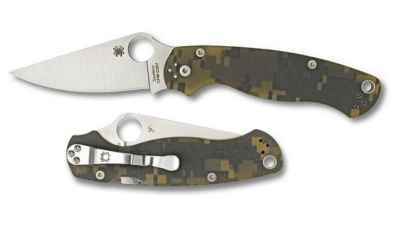 Spyderco Digi Camo Para3 - Para 3 with digital camouflage patterned textured G-10 scales that approximate the pattern of the U.S. Army’s ARPAT camouflage.